Happy Easter to everyone that joined us this sunny Sunday Morning. 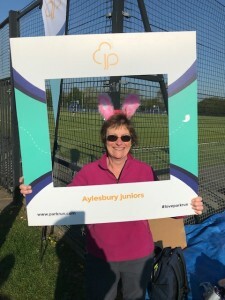 It was lovely to see a few bunny ears and even a couple of bunny t-shirts. We had 57 runners with us today. We were joined by a few visitors, including two from Bournemouth, although we cant name them as they weren't registered. 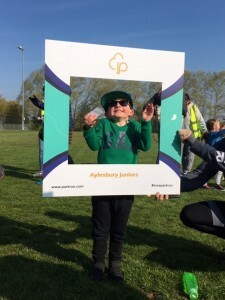 Additionally there were 5 first timers, Zoe & Ben P, Freya L, Isla F, Jessie C and 2 Aylesbury Junior Parkrun first timers, Sebastian and Roxanna. Our first finisher today Jonathan managed to run exactly the same time as last week! The dry, sunny conditions made it a good week for PB's with 10 people getting a new PB. Well done to Ryan A, who also qualified for his marathon band, Elliot F, Jozef S, Alex H, Rowen M, Isobelle B, Justin K, Sam H, Daniel T & Rafferty B. 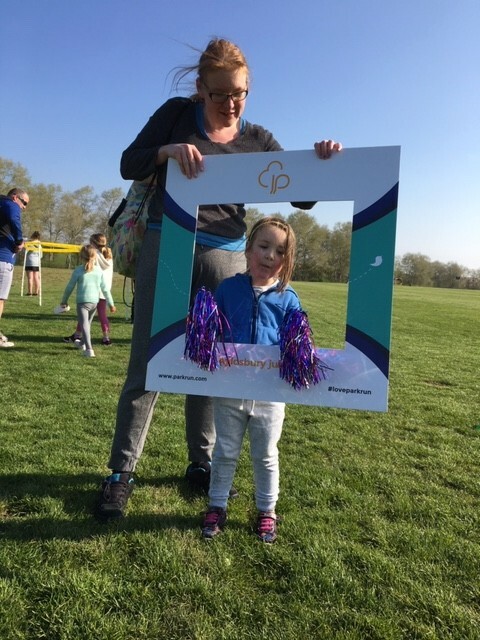 We hope you all enjoyed the chocolate at the finish, enjoy the lovely weather and see you all next week. 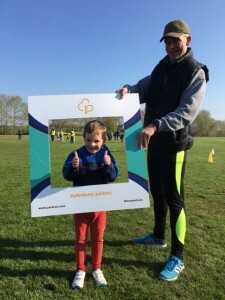 It was a cold but bright start today, ideal conditions for our parkrunners to achieve lots of personal best times, including 8 of our top ten finishers, Jonathon S, Riley B, Emily W, Evan B, Iris S who received her half marathon band, Emily B who qualified for hers, Elliot F and Dylan H. Other best times were achieved by Jozef S, River K, Oliver S, Amelia C on her 70th run, Harrison S, Megan P, Ivy U, Isabel S, and Isla D.
We were joined by 4 first timers today, who had just celebrated their fourth birthday, and three of them completed our course, congratulations to Oscar, Charlotte and Seb. Callum joined us as a visitor from Upton House. 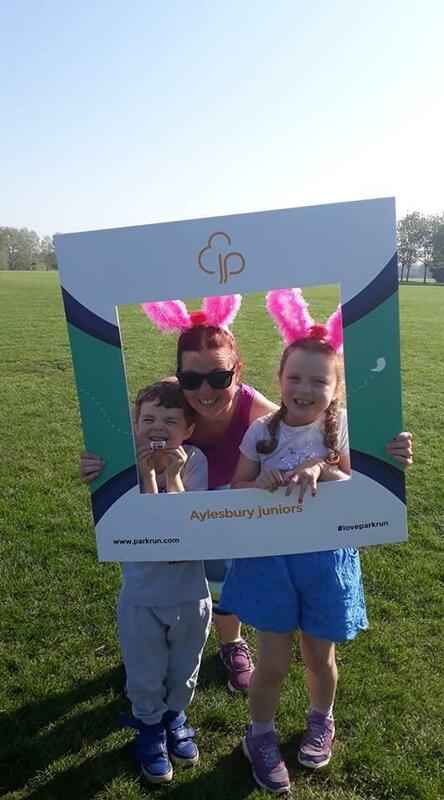 Abigail S received her marathon band, and was joined for the first time by her younger siblings Charlotte and Oscar. Warren qualified for his marathon band so will receive it next time. 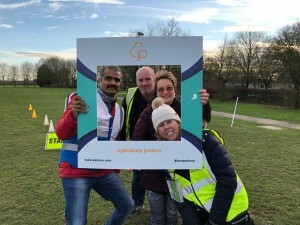 We welcomed 44 intrepid parkrunners on another cold bleak Sunday, including our four first timers Isla D Nathan U, Connie W and Dakota k. We hope the weather didn't put you off. Alex H was our first finisher today, in a personal best time, having not been able to run for the last few months whilst completing his Duke of Edinburgh Bronze award. 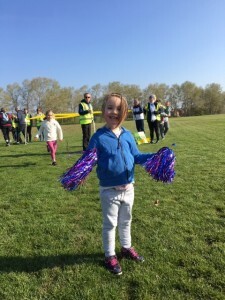 Lots more best times too including Eoghan who qualified for his half marathon band, Finlay D who celebrated a birthday today, Alex W who completed for the 99th time, Elliott F, River, Jocelyne and Amelia H, Alice T, Emily W, Evan B, Jonathon S, and Victoria N. Well done to each and every one of the above, but also everyone else who came and joined us today. Thank you to all our volunteers this morning, without whom the event couldn't happen. We hope you enjoyed seeing the enthusiasm of our runners despite the weather conditions. Happy Mother's day everyone. 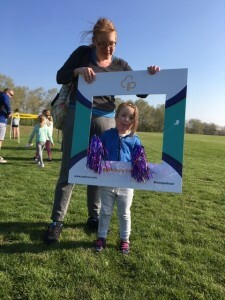 With mother's day coinciding with clock change day, it was planned to be much more fun run in Pajamas and Onesies, straight out of bed. With two gorgeous back to back warm days, I wasn't expecting such a cold morning! I thought all those made it in pajamas and overcoats were warm and cosier than the rest, but towards the end I was told by a few that it didn't keep them as warm as they were expecting. For the first time in Aylesbury Junior Parkrun history we had a full roster by 8 AM Monday morning. Thanks to all the volunteers and supporters who helped us make it happen this morning... Oscar ATKINS, Sam BATES, Gavinjit Singh BRAR, Vicky BURTON, Kevin BURTON, Kirk CLIFFORD, Carol CLIFFORD, Sonja GUNATILLAKE, Madhu HALEBATHI, Helen HODSON, Alex HODSON, Sarah HORNE, Sanjana MADHU, Isla MOHAMMED, Catriona MOHAMMED, Ulen NEALE, Harrison SMITH, Summer SMITH, Faye SUMMERS, Helen WALKER, Jane WARREN, James WEIR, Oliver WEIR, Gayle WILLINGTON. We had a few first timers today. 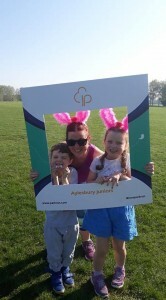 Alfie D, Daisy D, Noah D ran their first ever Parkrun. 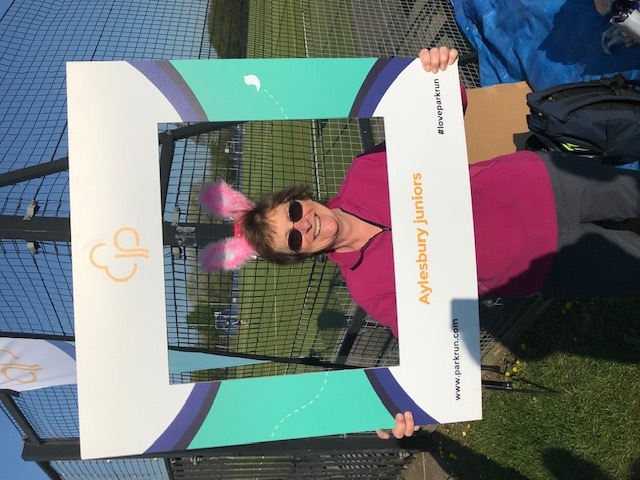 And special mention to Faye S as she had her birthday this week and did her very first qualified run with us making her the youngest among us (for now). We also had two visitors Hayden B and Phoebe D joining us today. I hope you all had good time as much as we did and hope to see you all soon! As always, we had a couple of achievement badges to give away. Gavinjit B collected his half marathon band and Louis C collected his full marathon band. Well done both of you. Robin B did his 11th run with us today and Abigail S did her 21st, qualifying for their respective achievement badges next time when they run with us. Well done both of you. 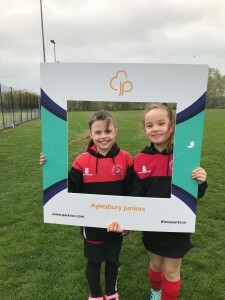 Isla M and Summer S did their 100th run this morning becoming 2nd and 3rd person to achieve that at Aylesbury JPR. What an achievement!! Very Well done!! A big congratulations to lexa T, Evangeline H, Finlay D, Finley C, Melaka U and Ruby W for achieving their personal best today! Hope next week weather gets better than today.. See you all soon. We welcomed 6 new runners to junior parkrun today: Evangeline, Jack, Jocelyne, Lilly-Ann, Matilda & Ned. You all did brilliantly! It’s not easy doing something for the first time and it can be very nerve-wracking but you all completed the course - great job :-) We hope that you all enjoyed parkrun and that we see you again very soon! 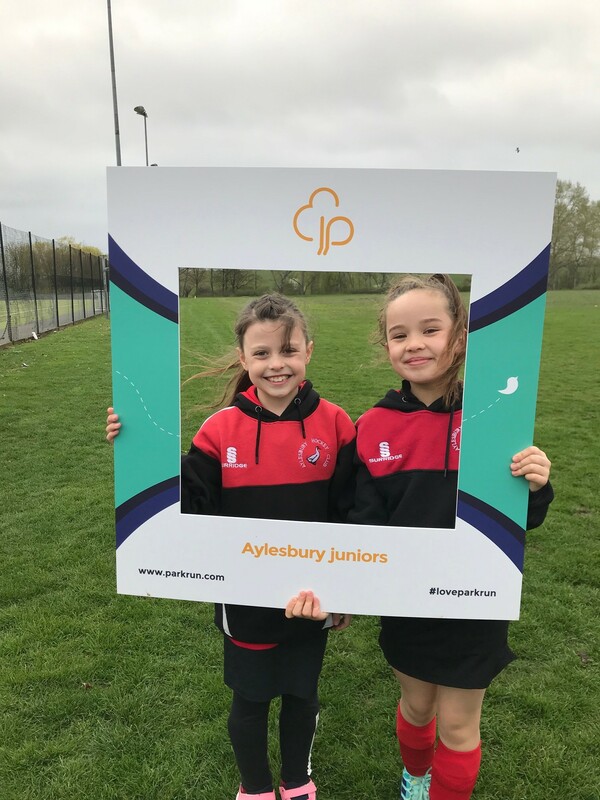 As for the run itself, 13 runners achieved PBs: Angelica B, Annabel H, Bethany W, Charlie A, Emily E, Erin C, Rhys B, Riley S, Ryan A, Sam G, Siya S, Toby S & William G. Congratulations, you all did amazingly well! 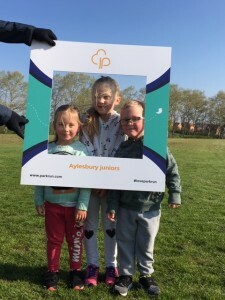 Remember that you can view the full results and stats at http://www.parkrun.org.uk/aylesbury-juniors/results/latestresults/ If you run regularly it’s nice to be able to see how you’re progressing. 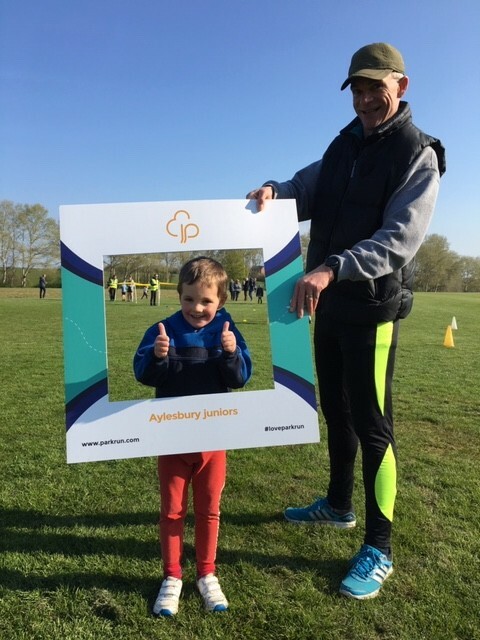 I always say that junior parkrun is about having fun and not about competing with anyone else but it’s a great confidence booster to see yourself improve over time. As always, thank you so much to all the volunteers today. Without you we cannot hold this event and your help is very much appreciated. I say it in every report that I write but it’s true! If anyone is ever able to volunteer please message us via FaceBook or email us at aylesbury-juniorshelpers@parkrun.com. Without a full volunteer roster we are not allowed to run the event so it really is very important. Thanks to my warm up crew today: Amelia C, Sophia C & Vicky N. You do a much better job of it than I do. Finally, if you have any photos that you’ve taken with the selfie frame that we could upload to our FaceBook page, please send them through to us via email or FB Messenger. It would be great to see them! Thanks everyone & see you next week.